Time “Zones” that is. It turns out Eastbank is in Eastern Time but just a few miles down the road from the Central Time zone. The 3 TV stations (over the air) that we receive here are in Central time, but since most TV shows in Central are shown an hour earlier than Eastern (which is actually the same time) they are on at the same time as we are used to when we are in Eastern time – its just that the time the newscasters and other sources announce, is not the time that it is supposed to be where we are. Got all that? If not have a few beers and try again – it took me a few! To make matters more interesting, our cell phones seem to be picking up towers most of the time (no pun intended) in Central time, however, occasionally they will flop back to a tower in Eastern time, so sometimes they are right and sometimes they are not. Now who’s to say what is “right” when it comes to measuring [what we call] time? I mean after all, the time zone thing and our marking of “time” are purely human inventions, aren’t they? If you want to get philosophical about it couldn’t we question the existence of time altogether if we weren’t here to measure it? You know, like if a tree falls in the forest does it make any noise? Now that’s not to say that “Chaos, Entropy and the Arrow of Time” would cease to exist if we weren’t here to observe it but I guess the point is there is a distinction between the time we humans mark and measure and the real workings of the universe (and folks this is waaayyy over my head). Which makes me think of the speculations about time travel and if it is possible – well that’s a can of worm[holes] and depends how you define “time travel”. Like don’t we travel thru [the arrow of] time all the time? Is that time travel? Could I propagate a paradox and go back and meet my mother before I was conceived? Doubt it. 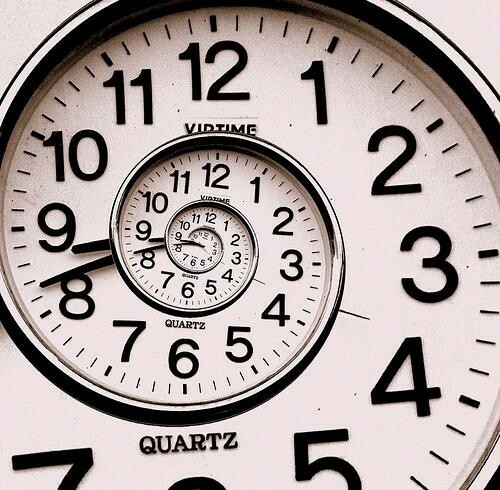 What about Einstein’s “twins theory” – is that time travel? Anyway too much for my brain at the moment, which reminds me of another brain bender for us humans (at least me) – visualizing anything beyond the third dimension. So we are all familiar with 3D and all that, but how about 4D – what would it look like? For most of us, I don’t think we can visualize it, but years ago I found a book about how two dimensional beings would perceive the 3rd dimension and found that I could at least conceptualize my limited visualization of the 4th dimension by understanding the limitations of a two dimension being trying to visualize the third dimension (because I CAN visualize the 3rd dimension). This book is titled “Flatland: A Romance of Many Dimensions” and was written in 1884 By Edwin Abbot (see here for a synopsis). This unique story is not only an examination of dimensional theory but a satire of Victorian culture. The book is obviously long out of copyright so it is public domain and available free online and for download on your Kindle or other book reader. OK, I think it’s “martini time”, now there’s a time I can relate to! It’s five o’clock somewhere right? Excellent dicourse on time and dimension!! I’m not sure you have enough gin for this one!